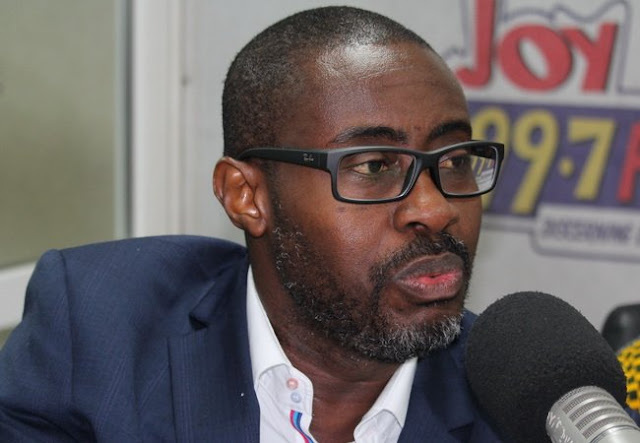 Renowned Lawyer, Ace Ankomah says that every applicable law was broken to ensure that Smartty’s Management and Productions Limited - the company at the centre of the bus branding saga – was awarded the contract. Speaking on ETV Ghana’s 'State of the Nation' with Kwame Gyan, Ace Ankomah who is also a member of pressure group OccupyGhana said there was no properly written contract or proper public procurement approval for Smartty’s to go ahead and brand the buses. “Everything was done to breach every possible applicable law just so that the contract was given to that entity. There was no document which contained the conditions of the contract. If you are going to steal our money at least give it to a first-year lawyer to draft a proper contract for you. That sham of a contract is the basis for paying GHC 3.6million of our money? This is a joke,” he stated. Ace Ankomah stressed that at least five laws including; the Constitution, the Petroleum Management Law, the Procurement Act and Government Contracts Protection Act among other laws were broken to ensure that Smartty’s won that contract. On April 13 a Human Rights Court gave its ruling in a controversial case brought by some members of OccupyGhana asking for full disclosure of government’s contract with Smarttys Production over the 116 branded Metro Mass buses. A revelation that the rebranding of 116 buses cost the country the sum of GHC 3.6 million sparked a lot of controversies and public outrage, compelling the government to retrieve GHC 1.5 million from Smarttys Management and Productions Limited. According to Ace Ankomah the whole sole sourcing and procurement process to award Smartty’s the contract involving the Office of the President, Public Procurement Authority (PPA), the Transport Ministry and Finance Ministry was a sham. “If indeed the office of the President had no hand in all of these, why would the office of the President order the Attorney General to investigate the matter? Was it why they were refusing to release the AG’s report?” Ace Ankomah quizzed. He called for a full investigation into the PPA and its connection to the Smartty’s bus branding scandal. “The PPA ought to explain more to Ghanaians. How can they either by being asleep or being complacent, allow this to pass through their hands when it took the AG less than a week to determine that we were being duped on this contract. The PPA itself massaged and breached its own law to allow the payment,” he noted.